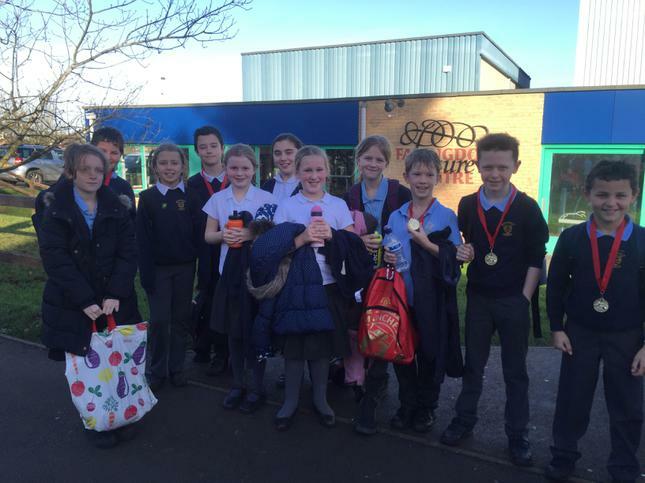 On Wednesday 11 children from across Years 4, 5 & 6 represented us at the Faringdon Academy swimming gala. The children were outstanding representatives of the school, with an exceptional team performance from the boys, winning 1st place overall. An extra special congratulations to Owen Jackson who won the 25m Butterfly (Mrs Roberts least favourite event) by a phenomenal distance. We would like to congratulate the following children on their brilliant performances: Owen Jackson, Matthew Banbrook, Sam Daisley, Toby Banbrook, Riley Bevan, Zara Foster, Trinity Worth, Hettie Cosens, Hannah Douglas, Annabel Ball and Maja Damkjaer.